While the founding fathers of the phenomenological movement, Husserl and Heidegger, emphasized methodological differences between phenomenology and empirical sciences, successive generations of phenomenologists never ceased to question and challenge this basic presupposition. In the last decades, there has been a lot of discussion about whether the idea of phenomenological naturalism should be reassessed in the light of both advancements in empirical research, especially in cognitive sciences, and the progress in phenomenological investigations. Phenomenology and Science brings together the work of young researchers and experienced scholars in the fields of phenomenology, contemporary philosophy and cognitive sciences in order to address the question of the possibility of a productive dialogue between phenomenology and empirical sciences. The volume opens with a study by Aaron Harrison that focuses on the interactions between the first wave of phenomenology (Gurwitsch, Merleau-Ponty, Sartre) and Gestalt psychology (Wertheimer, Koffka, Köhler and Stumpf). The interest of the latter for the question of the modes of mutual influence between phenomenology and sciences lies in its complex relation to empirical science (which was especially the case in the first half of the twentieth century, when the boundaries between psychology and philosophy were still not defined) as well as to phenomenology (which had, as Harrison shows, an important impact on the development of Gestalt psychology). According to Harrison, this peculiar situation of Gestalt psychology suggests the importance of attentive examination of the history of its intersections with phenomenology in order better to understand how the phenomenological approach could be situated with regards to experimental methodology. In the second chapter, Jack Reynolds starts by questioning the “stark methodological distinction between phenomenology and science” and advocates considering phenomenology as a “more hybridic enterprise” (p. 24). By concentrating on the theme of intrinsic time, Reynolds aims to demonstrate how the phenomenological analysis of the temporal dimension of subjectivity proves to be useful for the latest discussions within empirical sciences on the irreducibility of the first-person perspective. The phenomenological account of the temporality that draws the connection between the “intrinsic temporality” and the pre-reflective dimensions that constitute the “minimal self” offers, according to Reynolds, a more consistent explanation of what “is resisting the objectivism” since it avoids the “view from nowhere” and gives access to a lived subjective experience. 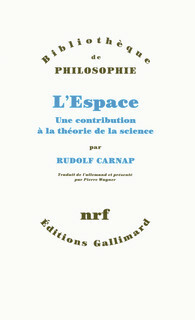 To see the minimal self “both phenomenologically and empirically” (p. 37) provides, then, a significantly richer account of subjectivity and presents an opportunity to explore the potential of what Reynolds, in Gallagher’s terms, the “mutual enlightenment” (p. 31) of phenomenology and science is. A more skeptical view of the relationship between phenomenology and the sciences is expressed by Richard Sebold, who insists on the fact that the “naturalistic perspective has much more going for it than the phenomenologists are prone to admit” (p. 47). 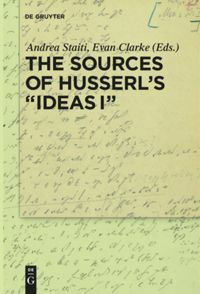 In order to see this, it is necessary to rigorously examine the anti-naturalistic claims made by Husserl and his successors, starting with distinguishing between three major types of phenomenological arguments: metaphysical (“there are some phenomena that are of a certain nature that it is inappropriate to investigate them via scientific methodology”, p. 48), semantic (“the very intelligibility of the scientific project depends upon the meaning of the pre-theoretical world”, p. 53) and methodological (“scientific methods <are> incomplete and unable to gain certain types of knowledge about the world”, p. 57). Sebold’s paper provides a comprehensive study of the assessments of empirical sciences by various phenomenologists; a study that proves to be crucial for addressing their criticism and, more importantly, for revealing the sources of phenomenology’s claim for possessing a distinct advantage over other disciplines. In the fourth chapter, Marilyn Stendera raises the question of how one should approach the inevitable negotiations between different perspectives in interdisciplinary projects. The author’s goal is to show that such negotiations do not necessarily lead to conflict and can, instead, create a productive exchange between different approaches. For Stendera, this is the case for the collaboration between Heideggerian phenomenology and the enactivist approach to cognitive science. Beyond their historical connection, these two approaches prove to be fundamentally compatible, first of all, where the idea of the interdependent relationship between the subject and the world is concerned. 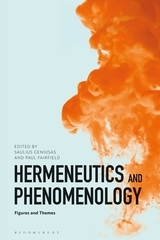 By studying how the Heideggerian conception of temporality could be useful to address one of the key issues of cognitive sciences – that of the possibility to trace a distinction between various cognisers without failing to consider their continuity, – Stendera explores the benefits of interdisciplinary dialogue and tries to outline possibilities for future investigations. With Michael Wheeler’s paper, we switch from a phenomenologically minded perspective to an explicitly naturalistic one, according to which the conflicts that can possibly arise from negotiations between philosophical and empirical accounts should be resolved following the idea that “philosophy should be continuous with empirical science” (p. 87). Wheeler claims that “it is the phenomenologist, and not the cognitive scientist, who should revisit her claims” (p. 87), because the first-person perspective – and the phenomenological approach in general – is fundamentally “untrustworthy” (p. 92) when it describes mental states, since the operation of cognitive systems depends largely on unconscious states that remain unreachable in the first-person attitude. At the same time, Wheeler agrees that the phenomenological analysis could not be limited to introspection and that, instead, it represents a transcendental enterprise. Nevertheless, for Wheeler, no transcendental approach could be “insulated” (p. 100) from the social world, which leaves to science – that constitutes a “part of our social world-making” – the final word in the philosophy-science controversy. In David Morris’s paper, we find a diametrically opposite view that considers life as a “transcendental condition of science”: “that is, science is not simply an activity conducted by living beings, rather, our living, as inherently oriented by affect, provides us with a pre-scientific feel and criterion for the activity-passivity distinction, without which we could not grasp key issues in, e.g., biology and quantum mechanics” (pp. 103-104). This claim puts phenomenology, and in particular Merleau-Ponty’s reflections, in a privileged position with regards to empirical sciences. Phenomenology allows us to grasp this dimension of affectivity that is “crucial for sciences” (p. 116), the dimension in which all the processes of constitution of sense are grounded. The importance of phenomenological analysis as a unique tool that allows grasping the foundational role of affectivity in organizing experience is also defended by Joel Krueger and Amanda Taylor Aiken. Their joint paper aims to demonstrate that emotions and affectivity should be studied not only as they are perceived through social cognitive processes, but also as they are actually “facilitating interpersonal relatedness”: affectivity and embodiment structure the spatiality of interpersonal relationships and thus contribute to the emergence of the “social world as social”, that is “affording different forms of sharing, connection and relatedness” (p. 121). This role becomes particularly visible when the capacities to inhabit the social space are altered, as it can be observed in the cases of Moebius syndrome and schizophrenia. It is by drawing upon the analysis of such cases that the authors hope to “reinforce phenomenological arguments for the foundational role that body and affect play in organizing social space” (p. 136). Andrew Inkpin chooses language as his object of study, a topic that had been mostly relegated to the margins of the so called ‘4e’ tradition dominant in cognitive sciences, a tradition that emphasizes the embodied, embedded, enactive and extended nature of cognition. The turn to non-linguistic phenomena in cognitive sciences, that initially aimed “to correct the earlier overemphasis on language” (p. 141), created a void that, in Inkpin’s opinion, should be filled by a phenomenological approach, which “might and should complement systematic empirical theories in the 4e tradition” (p. 141). Would it mean that phenomenology should be naturalized? For Inkpin, this way of formulating the question is misleading because it misses the specificity of the phenomenological approach to language. The goal of his paper is, therefore, to show why ‘4e’ cognitive science needs a phenomenology of language and what it could gain from it. In the ninth chapter of the volume, Shaun Gallagher aims to show how the debate between two theories about social cognition (simulation theory and interaction theory) influences the idea of science and raises the question “whether one can continue to do science as we have been doing it, or one has to do it differently” (p. 161). Without ignoring the discoveries made by simulation theory in the area of brain processes involved in social cognition (e.g. activation of mirror neurons), Gallagher insists on the necessity to interpret such processes with regards to the intercorporeal character of social interactions, i.e. the fact that “we are dynamically coupled to the other person in our intersubjective interaction, most of which take place in highly pragmatic and social situations”. Pragmatism here means that our actions aim primarily to give a response to a certain situation and that the brain-body activity (promoted by simulation theory) should rather be thought of as a part of a more complex system: “brain-body-environment” (p. 170). Such a holistic, enactivist and dynamic conception is, however, a “challenge for the science of social cognition” (p. 171), which has to respond with developing a new model of explanation that could take into account various dimensions (neuroscientific, psychological, phenomenological, social etc.) that could, according to Gallagher, be compared to what Sandra Mitchell has called an “integrative pluralism” (p. 175). How could we explain the fact that our memories are sometimes in a ‘first-person’ or ‘own-eyes’ perspective and sometimes in a ‘third-person’ or ‘observer’ one? This question is at the center of attention of the joint paper by Christopher Jude McCaroll and John Sutton. Drawing upon Sartre’s theory of image, the authors propose an analysis of memory imagery based on the idea that the image is not something “inspected by consciousness” but actually is “the act of consciousness, or a way of thinking about an object or event” (p. 183). According to the authors, such a phenomenological account of our puzzling ability to have multiperspectival memory imagery could “elucidate some of the empirical findings” (p. 183) and help to provide an understanding “uniting phenomenological and scientific perspectives on memory imagery” (p. 197). The final chapter is also focused on the question of imagination. In her study of pretense (more precisely, non-deceptive pretense), Michela Summa draws on phenomenology of imagination, inspired mostly by Husserl and Merleau-Ponty, and addresses two main problems: the epistemic functions of pretense, and its social nature. Starting with a critical analysis of Piaget’s remarks regarding the egoistic nature of pretense and its role of protector from reality in children’s development, Summa defends the idea that “imagination is a part of genuinely social experience” (p. 216) based on Vygotskij’s reflections on pretend play. While being “inherently subjective”, imagination participates in the construction of the we-perspective not just by assembling individual perspectives, but by creating a “form of sharing” and “cooperation of different subjects” enabled by “the cognitive value of pretense, of the perspectival flexibility that underlies pretense actions, and of the social meaningfulness of such actions” (p. 220). The editors of the volume, Jack Reynolds and Richard Sebold, are explicit about their desire to put together a variety of opinions, positive as well as negative, regarding the future of the dialogue between science and phenomenology. And each of the eleven chapters of the collection allows in fact looking at the possibility of such a dialogue from a different point of view. Reynolds and Sebold’s joint work provides, then, a keen insight into the state-of-the-art of recent debates, and outlines directions for future discussions.